The city of Toronto includes a whole lot of bricks, which is why it’s important to know how to identify some of the most common brickwork problems. Some of the oldest buildings in the world are made of brick and still standing today in proof of brick’s long-term durability. Toronto winters are cold and as a result of extreme seasonal changes local buildings must be constructed out of durable materials. Brick is rated on durability according to the location it will be used. Bricks used in Toronto need to withstand more wear and tear than bricks in Southern California, for instance. Just because brick is durable doesn’t mean it’s indestructible. 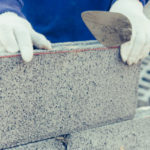 Here are some of the most common problems with Toronto brickwork you need to look out for in order to keep your bricks in good condition for many years to come. Portland Cement mortars have been making their rounds for many years now but they are actually counterproductive to preserving old brickwork. Made of hard, moisture resistant materials this type of mortar literally traps water beneath the surface instead of keeping water out of the walls. As a result, this trapped water freezes and thaws in the winter and causes all kinds of issues with the stability of a structure. We have seen buildings that are over 100 years old with walls rebuilt using the wrong types of mortars and as a result the rebuilt portions quickly deteriorate. Eventually compromising what is left of the old structure too. Over time any brick masonry structure is going to incur crumbling mortar, it’s important to fix this issue as soon as possible. Otherwise, water, weeds and other unwanted things will find a way into your wall and wreck havoc. Tuckpointing is really only necessary once every 25-30 years. 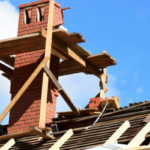 It involves scrapping out the old, crumbly mortar, completely cleaning the area and then applying new properly matched mortar to fill in the hole. Keeping up with other building repairs and overall cleanliness of brick will prevent mortar from prematurely crumbling or cracking. 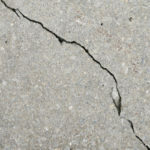 If crumbling mortar is not fixed the next thing that will likely happen is spalling bricks, or bricks completely falling out of place. When you notice bricks completely falling out of place this is known as spalling. This really just means bricks are actively deteriorating, which is often caused by over exposure to moisture. Keeping bricks away from water is the best way to prevent spalling from happening, after it occurs all damaged bricks must be removed and replaced. 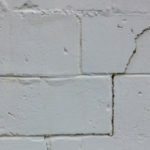 The longer you wait to fix spalling bricks the worse the damage will become regarding the rest of the wall, eventually requiring an entire rebuild. Bricks need to be completed in just the right temperatures and weather conditions or else proper precautions are needed. After masonry work is completed bricks, mortar and grout should be kept out of extreme temperatures and heated to around 40 degrees Fahrenheit if it is less than 25 degrees outside. If wind speed is more than 15 mph, wind break enclosures need to be set up around brickwork to protect against damage. If there is visible ice or snow on existing foundations building codes do not allow new building to proceed. If the base of a structure thaws it is at risk for danger because the mortar bed and frozen supporting surfaces cannot properly bond. In order to proceed the ice and snow must be completely removed and the top surface heated without causing any damage. It is recommended to cover all masonry work so that it is not exposed to snow. 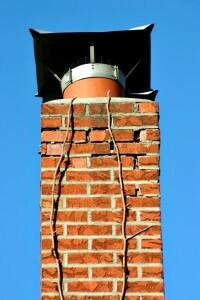 Hot weather can also impact the effectiveness of brick masonry work. If temperatures exceed 100 degrees F the rate mortar sets and dries will vary. Turnbull Masonry remains the leading name for all Toronto masonry brick repairs, restorations and rebuilds. For top quality work at competitive prices contact us today!